If someone asks you to name the color schemes of several popular brands, it’s likely that you’ll be able to do so easily. Color and typography are powerful marketing tools that can make brands immediately recognizable to consumers. While most marketers understand the importance of colors and fonts, many are unsure about which design details truly matter. So, what does evidence-based research show about color and typography? What should marketers know about how design influences consumer behavior? 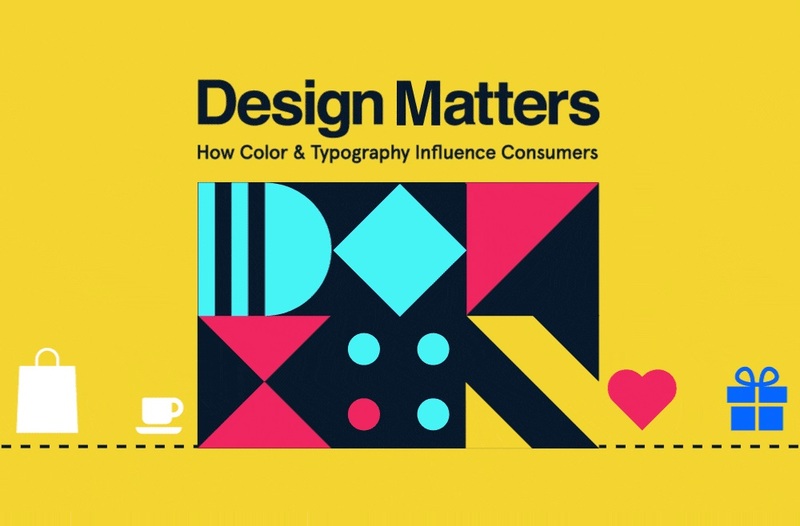 This helpful infographic from MDG Advertising, “Design Matters: What Marketers Need to Know About Color and Typography,” pinpoints some key facts and figures. For example, the infographic shows that 62 to 90 percent of a person’s first impression of a brand is based on color, making the color choice an important part of a design strategy. The color of packaging also differentiates a brand’s products from similar ones on the market. Plus, every color evokes a different emotion, from serene blue to energizing, optimistic yellow. While some marketers don’t consider typography to be as important as color, the reality is that font choices and placement can have a major impact—both good and bad. Good typography keeps readers more engaged and can even put them in a better mood. Consumers prefer clear, legible fonts that match the brand’s personality. Ultimately, understanding your audience and your brand’s positioning is essential when making design decisions about color and typography. Take a look at this infographic to find out more.